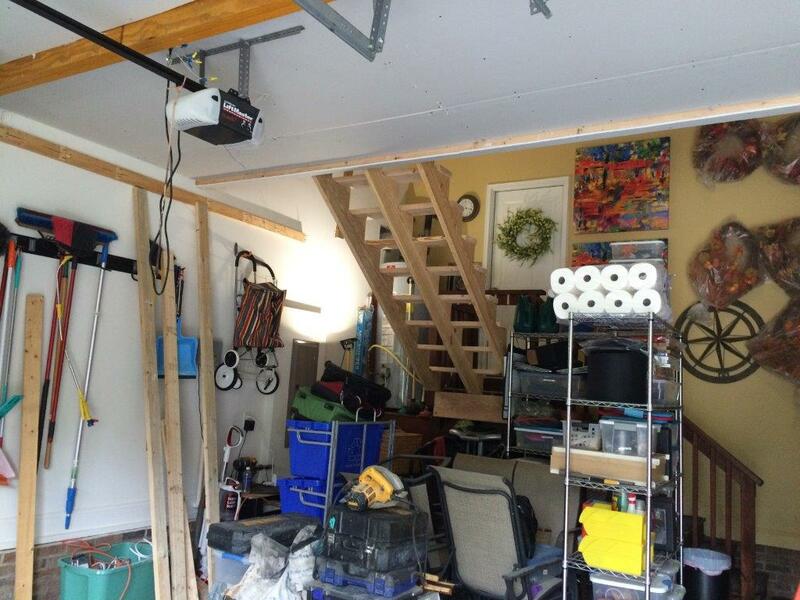 This is a view of the garage before the loft was built. The photo was taken from the kitchen hallway door. The banister is part of the steps that lead to the garage below. You can see how the shelving was installed all the way around the garage. 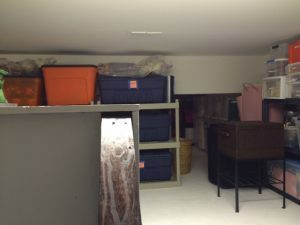 A twelve foot ladder was needed to access the items on the shelf. It was quite challenging to get to anything. 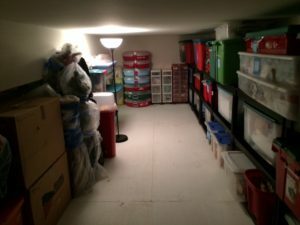 Before moving into the house the homeowner had these shelves installed. They had to be removed to build the loft. 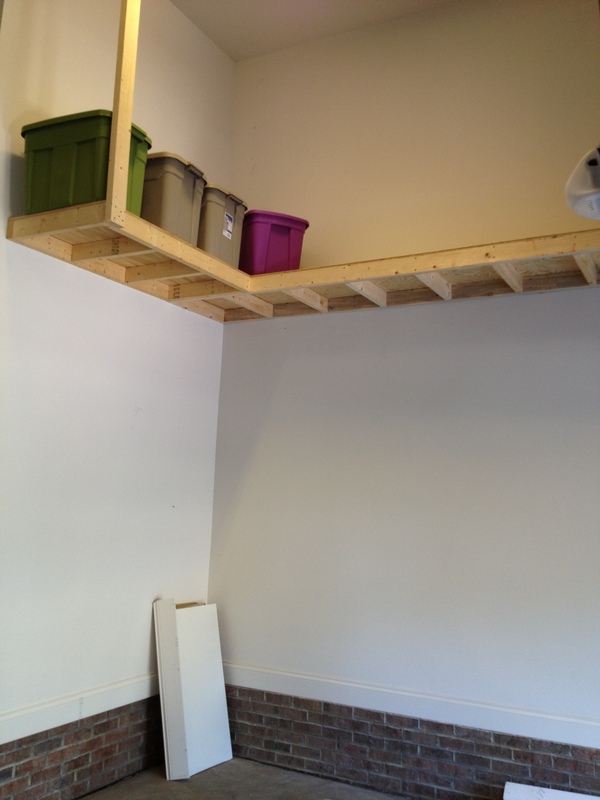 But with the loft everything is so much easier to access! 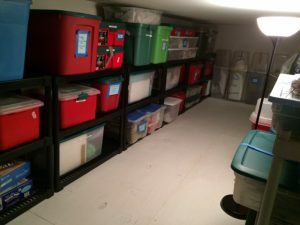 Construction projects don’t magically get finished – check out the “in process” work! This is a view from the kitchen hallway door looking up into the loft. You can see the beam that was originally part of the garage. It separates the loft in half. 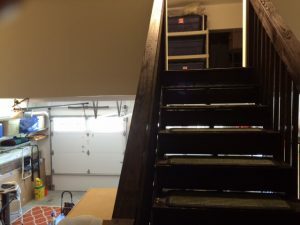 View of the steps leading to the loft. To the left of the steps you can see the wall of the loft. 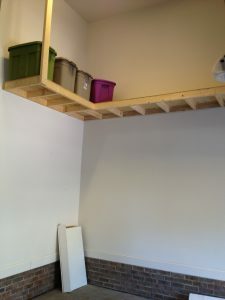 Front part of the loft with a row of shelves. 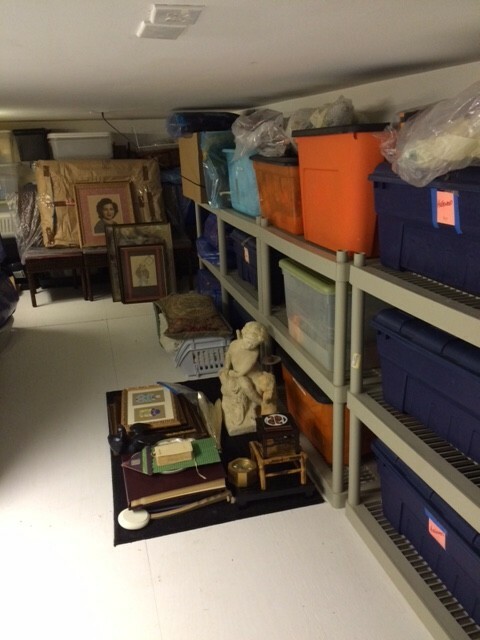 The items on the floor are waiting to find a “home” inside the house. You can tell that there isn’t much height to the loft (about 5’2” high) which was unavoidable due to the garage door brackets underneath. Back half of the loft with two rows of shelves with bins housing Christmas décor. 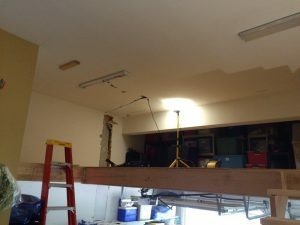 We added a floor lamp for more light as there was no way to install ceiling light. 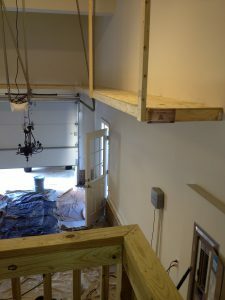 Different view of the back half of the loft. As you can see – tons of organized and easy to access storage with this new “loft” in the garage!